Raising the hands in dua: This is proven from the Sunnah and there is nothing forbidden or contradictory in the Shariah to it. Wiping the hands on the face after Dua: This is proven from the Sunnah and there is nothing forbidden or contradictory in the Shariah to it except for scholars say that it shouldn't be done inside of Salah (or in Qunut within Salah). The ulama should first educate their congregation on the sunnah method of Adhkar after salah and gradually inform them that the congregational dua is not compulsory and was not practised at the time of Rasulullah (Sallaho Alaihe Wassallam).Get the congregation to first understand that congregational dua is mubah and not compulsory. Do not condemn the practice without educating the congregation. This will lead to fitna. The Hadeeth narrated by Ibn Abbas (RA) related by Abi Dawud and others. Put together, they confirm that it (this Hadeeth) is Hasan. …And it (this Hadeeth) contains a proof for the legitimacy of wiping one’s face with the hands after making du`a. Shaykh Nawab Sideeq Hasan Khan (RA) accepts this narration as Hasan in commentary of Bulughul Maram. Shaykh Abdullah Al-Bassam mentions in Taudeehul Ahkaam (his commentary of Bulooghul Maraam) that this Hadeeth has supporting Narrations which strengthen each other, thus the Hadeeth gains strength from these routes and a number of scholars have chosen this position that it is Hasan (Authentic) and from them is Ishaq Ibn Rahwaiyya (RA) (an early scholar of Hadeeth) and Imam Nawawi (in one of the positions which he has adopted), Imam Ibnul Hajr Asqalani (RA), Al-Munawi (RA) in Faidul-Qadeer Fi Sharhil Jami As-Sagheer (commentary of Jami As-Sagheer of Imam Jalul-ud-deen Suyuti (RA), Imam Shawkani (RA) and others. Shaykh Bin-Baaz (RA) in his Ta'leeqat of Bulughul Maram comments that in the chain of this Hadeeth is Hammaad ibn ‘Eesaa Al-Juhani whom scholars have declared weak and Shaykh Ibnul Hajr Asqalani (RA) has also followed them and declared him weak in "Tahdhib al-Tahdhib" to the 9th degree; yet he has declared this Hadeeth Hasan and this must be due to Shawahid (supporting Narrations). This is a weak Hadeeth but previously stated it has been used by many including Imam Ibnul Hajr Asqalani (RA) to strengthen the overall status of Ahadeeth on this subject. Narrated by Abdur-Razzaq (RA) in his Musnaf [2/247] that Mumar (RA) narrated from Zuhri (RA) that the Prophet (Sallaho Alaihe Wassallam) was raising his hands upto his chest for dua and then wiping them on his Chest. Abdur-Razzaq (RA) then says that indeed I saw Mumar (RA) doing this (wiping hands on the face after dua) and I also do it. This is a Mursal Saheeh and acceptable according to Jamhoor (majority) except for Imam Shaf'ae (RA). Question: Many Mosques are used to make du'a after prayer which is bid'at according to your fatwa because it replace the sunnat and that's not good however the Mosque I go we pray fard salaat after that everybody recites silent for their own Ayatul kursi, 33x Subhan Allah etc. if everybody is done and there are sunnat prayers that is going to be prayed then everybody does that first if it's like Asr after fard there is no sunnat then we again make collective du'a which is AFTER the sunnat du'a which everybody does after fard prayers so is this still bid'at ? Because we make the sunnat by saying the du'a silent everybody for their own but after we make again collective du'a. 2. Raising the hands in dua. 3. Adhkaar and dua’s to be recited after salah. The subject of debate relates more to the fourth topic. Therefore, hereunder we shall discuss the first three topics very briefly and then elaborate on the fourth point. Aisha (RA) narrates the after every salah or gathering Nabi (Sallaho Alaihe Wassallam) used to recite some dua. So I asked Him (Sallaho Alaihe Wassallam) as to what He صلى الله عليه (Sallaho Alaihe Wassallam) recites? Nabi (Sallaho Alaihe Wassallam) replied if the gathering was of good this dua seals it and if the gathering was other than good it is a means of atonement. Uqba (RA) reports that Nabi (Sallaho Alaihe Wassallam) ordered me to recite Surah Ikhlas, Surah Falaq and Surah Nas after every salah. There are many other dua’s and tasbeehat to be recited after salah, for example Ayat al Kursi, Tasbeeh Fatimi etc but we shall suffice on the above mentioned narrations. At the outset it should be understood that congregational dua in itself is not prohibited. Due to external factors, as will be mentioned scholars have decreed that it should not be done regularly. It is the responsibility of the Ulama and learned scholars to educate the general public regarding the view point of our pious predecessors regarding this masla. Know very well that congregating and raising the hands as is a common practice was unknown in the time of Nabi (Sallaho Alaihe Wassallam). Yes, Dua after Fardh is established but individually, not in congregation. Maulana Yusuf Binori (RA) mentions: “Even though at times congregational dua took place but this was not the common regular practise of Nabi (Sallaho Alaihe Wassallam) nor of the Sahaba (RA). It only took place on special occasions (like when in war, Istasqaa etc.). Had it been practised (regularly) it would have been narrated by many narrators. An action carried out five times a day in public, how is it possible that no one mentions it? General Ahadeeth cannot be used to prove something at a specific times. 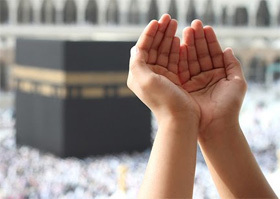 Mufti Faydhullah (RA) mentions: "The fourth method of making dua is that after the fardh salah everybody makes dua in congregation whilst lifting their hands. This has totally no basis in the Shariah. It is not established from the practices of our pious predecessors, neither is it established from any Hadeeth, be it Saheeh, Da'eef or even Maudhoo' nor is it established from the writing of any Jurist. Most definitely this is an innovation." Mufti Muhammed Ebrahim Sadiqabadi (RA) mentions: "The Imam and muqtadi's making congregational dua is an innovation which took its roots longer after the time of Nabi (Sallaho Alaihe Wassallam). From the whole treasure of Ahadeeth, there is not even one narration to support this. Neither is there any reference of this from the Sahaba (RA), Tabiee (RA) or A'immah Mujatahieen (RA). To the contrary sound narrations, consensus of the scholars of all four madhabs and sound reasons gives preference to individual dua. 1) When the imam makes dua and the followers say ameen it appears as though the imam is the linking rope between Allah Ta'ala and his servants. 2) The habit of many imams is to read the dua in arabic, and in most cases the imam himself does not understand what he is asking from Allah Ta'ala. 3) One of the wrongs that are found is that besides the common needs of the people, each person has his own individual needs. The imam is singing his previously memorized words and the crowd is saying "ameen'', that is why the most preferable way is that each person makes his own individual dua, and ask for his needs in the language that he understands. 4) The greatest wrong is that the imam reads the words of dua loudly while most of the time there are late comers still completing their salah and they are distracted in their salaat. That is why it is not narrated from Rasulullah (Sallaho Alaihe Wassallam) nor from the sahabah (RA) nor from the tabieen that collective dua after salah was made." "The conclusion is that the habitual way of dua is against the manner of dua taught to us by the Quran and Sunnah, and is contrary to the lifestyle of Nabi (Sallaho Alaihe Wassallam) and his companions (RA). Therefore, in normal cases it should be abstained from. The imam and the congregation should make their own silent individual duas. Yes, if a special occasion comes about and these harms are not found then there is no harm to make loud collective dua. Maulana Abdul Hai Lucknawi (RA): As for congregational dua, as is common nowadays where after salam the imam raises his hands and makes duas and the muqtadi's says Ameen, this practice was not found in the time of Nabi (Sallaho Alaihe Wassallam) like how Ibn Qayyim (RA) has mentioned. 1) People began regarding it as sunnat of salah. 2) The common people began holding so firm onto it, that they regard the person who omits it worthy of being rebuked. If an imam does not do it in this way he is discharged from his leadership. 3) Despite the consensus of opinion regarding silent dua being the best , still too loud dua is insisted upon. Based on these reasons the habit of loud dua after the salaat should be banned from the masajid, and the ulama should give more attention to this. It is incumbent upon the imams of the masajid to eradicate the custom of loud dua and to propagate to the congregation that collective dua is not a sunnat. It should therefore not be given so much importance. Rasulullah (Sallaho Alaihe Wassallam) performed the five daily salaat with the congregation in front of all. If he ever did the dua with the congregation someone would definitely have narrated it. But that is not the case. In the treasures of ahadith there is not the slightest sign of it. Even if it is accepted to be a mustahab, to make it permanently is a bidat. " "Congregational supplication; is never reported to be performed by the Holy Prophet (Sallaho Alaihe Wassallam) in the manner explained in your question. It appears from the relevant ahadeeth that in the days of the Holy Prophet (Sallaho Alaihe Wassallam) he used to pray on his own; even after salah. But at the same time there is no clear injunction in the Holy Quraan or in the Sunnah which prohibits such congregational supplications. In view of both these aspects, the correct position is that the congregational supplications are neither a sunnah nor something prohibited. It is only one of the several permissible ways of performing supplication. However, if somebody takes this congregational method as obligatory or as a sunnah of the Holy Prophet e: then this wrong concept will render this practice a n bidah " (innovation), hence impermissible, because a practice which was not obligatory or a sunnah at the time of the Holy Prophet (Sallaho Alaihe Wassallam) cannot be held as such after him. It will be a self-coined addition to the prescribed ways of worship, which is termed as bid'ah in the words of the Holy Prophet t! !t and is strictly prohibited. "In the light of this principle, if the congregational way of supplication is adopted only for the convenience for the audience, without taking this particular manner as an obligatory method or a sunnah of the Holy Prophet (Sallaho Alaihe Wassallam) it is quite in order in the Shariah. But if this method is observed with a belief of its being obligatory or a sunnah, it is not allowed" "It is noticed that where congregational supplications are permanently observed, it sometimes creates an impression that such collective supplications is a necessary part of the salah, since this impression is not correct, as discussed earlier, it is advisable to avoid congregational form of supplication at frequent occassion s, and to educate the people about the correct position as mentioned above. " Sheikh Abdul Haq Delhwi (RA) said: "This habit which is common in both the Arab and non Arab world that the imams of the masajid and the congregation make collective dua, the imam recites the dua and the congregation says ameen, this is not from the practice of Nabi ﷺ and is not substantiated by any hadith. It has been regarded as a bidat hasana. Sheikh AlIamah al Muhaddith al Muhqqiq Maulana Khaleel Ahmed Sahanpury (RA) said: "There is no reasonable proof for lifting the hands when the shaft or hanafi imaams make dua after salah. And there is no regard of the permissibility given by Ibn Hajar al Makki (RA). Maulana Zafar Ahmed Thanwi (RA) mentions: "And there is no proof for them (those who permit congregational dua) in those narrations which are narrated with regards to the general encouragement of dua after salah, be it fardh or nafl salah, because there is no mention that this dua should be with the congregation and that one should wait for it. There is no proof for them also in what Allamah Shurunbulali (RA) has said and explained in Noor-ul-Idhaah that to stand immediately after the fardh salah for the respective sunnah salah is sunnah. He said it is mustahab for the imam after making salaam to turn towards his left for the nafl salah after fardh. It is mustahab that he faces the people after that whilst they all read istighfaar 3 times, muawazaat (surah al-falaq and surah an-naas), ayatul kursie, subhaananallah, alhamdulillal and allah-u-akbar 33 times each, thereafter they will make dua for themselves and for all Muslims at large with their hands raised up…there is no proof in this that they should all read this, make dua collectively and do it in the masjid because the plural tense does not denote upon congregation at all, as the jurists have clarified. Therefore the meaning of his words would be that all Muslims should carry out this prescription after the faradh salah individually thereafter each one should individually make dua for himself and all muslims at large. Shurunbulali (RA) has himself clarified that it is best to perform the sunnah salah in a manner which keeps one far away from pride, which is more conducive to sincerity, be it at home or elsewhere. At another place he mentions: "In many places congregational duo after the fardh salah whilst raising the hands has become common. This was not found in the time of Nabi (Sallaho Alaihe Wassallam) especially when it is done persistently. Yes, many duas have been established, but it is without lifting of the hands and without being in congregation." Maulana Manzoor Numani (RA) mentions: "The practice whereby after salam the muqatdi follows the imam like in salah to such an extent that even if a person is in a hurry and he still considers it unacceptable to leave before the imam; has no basis and needs to be rectified. The link between the imam and muqtadi ends with salam therefore it is not necessary to follow the imam in dua. If he wishes he could make a short dua and leave before the imam and if he wishes he could make a long duo as he wishes." Mufti Shafi (RA) mentions: "The muqtadi only saying ameen has not been narrated from Nabi (Sallaho Alaihe Wassallam) nor the Sahaba (RA), tabieen or uama. In short this method goes against the teachings of the Quraan, the sunnah of Rasuullah (Sallaho Alaihe Wassallam) and the sahaba (RA). In such conditions the imam and muqtadi should make silent dua." Maulana Moseehullah Khan (RA) mentions: "As for a situation where people persist on loud dua and condemn those who leave it out, then should one follow this practice or not? By pondering over the rules of shariah, if we find any action being mustahab and people consider it to be sunnah or wajib then such actions should be prevented. Many examples of this are found in the books of fiqh. The first example is sajda shukr i.e. making sajda upon receiving any bounty from Allah Ta'ala. Although this has been established in the hadeeth then too Imam Abu Hanifa (RA) mentions that it is makrooh. According to Allamah Shami (RA) the only reason for this is the possibility of people considering it to be wajib. . .. It is clear from this that if the possibility of considering any permissible or mustahab act as wajib then such acts should be prohibited. In a similar manner loud dua at most could be permissible. Holding on to it in such a manner that the opposite does not take place at all and condemning the one who leaves it out are signs to show that it has been taken as wajib. Therefore it is necessary to leave it out." "After compiling the above I found the same thing mentioned in Tafseer Roohul Ma'ani, namely that loud dua especially in the masjid, is an innovation. It is mentioned in a Hadeeth "Every innovation is means of misguidance and every misguidance leads to hell." The text of Ruhul Ma'ani is: You will find many people in your era making loud dua especially in the big masjids not realising that they have combined two innovations the first of raising the voice and the second it being in the masjid." Question: Should one say amen to the dua made by the imam after salah or can one make his own dua? Answer: One can make whatever duo he wishes. It is not necessary to follow the imam. "Imam Malik (RA) and a group of other ulama opine that it is makrooh for the imam to make loud dua for those present as this will lead to the imam being the leader of the salah and he will also become the link between Allah Ta 'ala and his bondsmen in them attaining their needs." Imam Shafi (RA) mentions: "I prefer for the imam and muqtadi to make zikr after salah and they should make it silently." "After fardh salah the dua should be short, carried out individually and softly. Every person should ask for his own needs. The Arabic dua's should not be always read out loud." Allamah Sirajud Deen (RA) mentions: "Loud dua is an innovation." "It should be noted that the common practice after fardh salah whereby the imam and muqtadi congregate and lift their hands and the imam makes dua and the muqtadi says ameen has definitely not been established from Nabi (Sallaho Alaihe Wassallam) nor the Sahaba (RA). No hadeeth has been established in this regard." It is mentioned in Ma'ariful Quran: "May Allah guide the imams of our masajid. They left the teachings of the Quran, sunnah and practices of our pious predecessors. After every salah superficial dua takes place, in raised voices which besides going against the etiquettes of dua it also causes disturbance in the salah of the late comers." Maulana Ashraf Ali Thanwi (RA) mentions: "Continual practice on something is not prohibited. However, dogmatically obligating something on oneself or pragmatically is prohibited. Dogmatic obligation is considering something necessary and pragmatic obligation is when one condemns those who leave it out." Ibn Jarir (RA) narrates from Ibn Jurayj (RA) "Raising the voice in dua is a form of transgressing the limits as indicated to by the verse verily Allah does not love those who transgress the bounds." Sheikh Abdul Fattah Abu Ghuddah (RA) mentions: "Yes if anybody considers this (congregational dua whilst raising the hands) as a sunnah and persists on it and condemns the one who leaves it out, then this is incorrect and unacceptable." The ulama should first educate their congregation on the sunnah method of Adhkar after salah and gradually inform them that the congregational dua is not compulsory and was not practised at the time of Rasulullah (Sallaho Alaihe Wassallam). Get the congregation to first understand that congregational dua is mubah and not compulsory. Do not condemn the practice without educating the congregation. This will lead to fitna.